Tenerife is the largest of the Canary Islands, with beautiful beaches and an incredible volcanic landscape. This safe and family-friendly island is ideal for those who love the beach and water sports, or those who prefer relaxing at a Spanish restaurant or cocktail bar overlooking the ocean. The south of Tenerife is a sub-tropical paradise, with year-round sun and pristine stretches of white sand lining much of its coast. 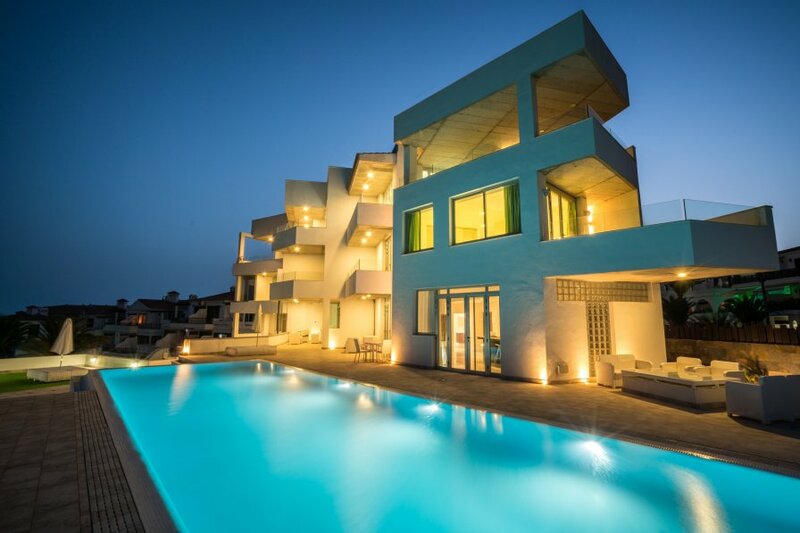 Amarilla Golf Villas is a stunning new development of luxury units of the highest quality. Set in an unrivalled location the development offers wonderful views over the golf course, down to the sea and the marina. The development stands out as one of the best in the area. Consisting of only 5 units, you can be assured the ideal combination of peace and relaxation. Each unit has been furnished to a very high standard and offers the ultimate in comfort. 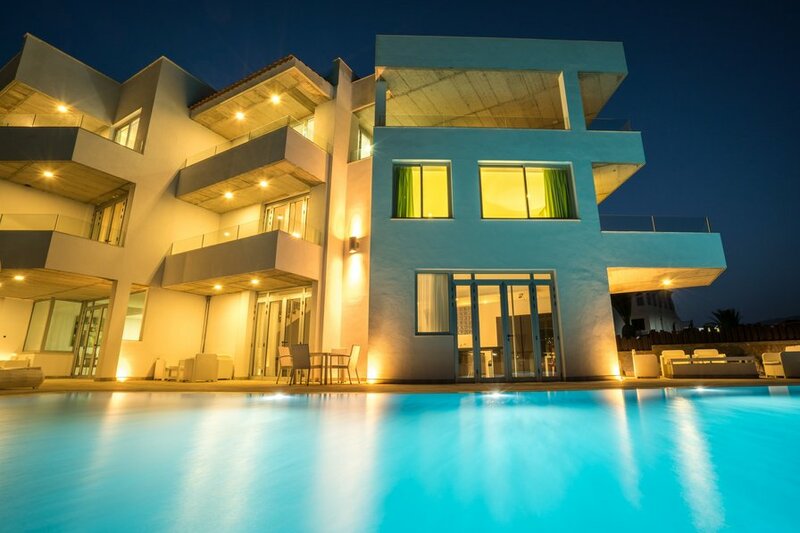 Amarilla Golf Villas offers individual, private and luxury units yet you still benefit from hotel style facilities. These include an on-site manager, a laundry service and a dedicated café / bar serving food and drinks all day. For those who prefer to eat out, just a short walk from the development is the San Miguel marina where many sea front shops, bars and restaurants can be found. 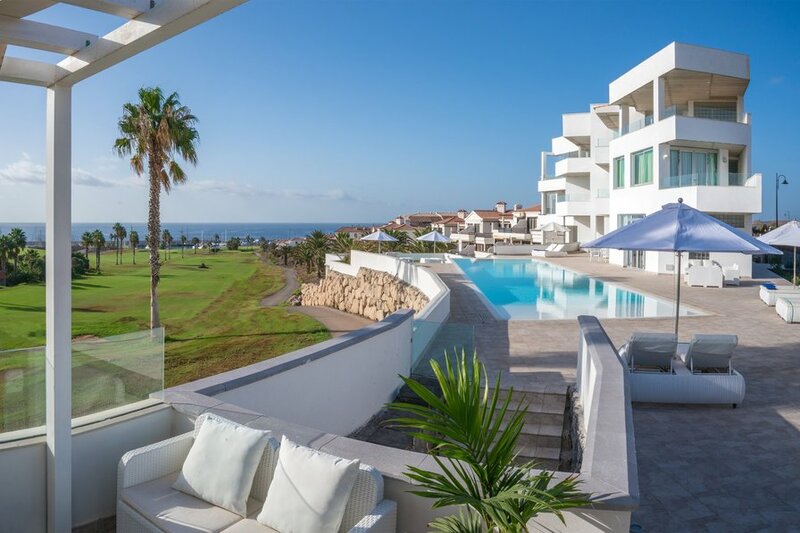 Any guests staying in the Amarilla Golf Villas group of properties can benefit from substantial discounts on green fees and all golf packages at the Amarilla golf course. Please use the contact us to find out more details and prices. Further into the resort of Golf Del Sur, the San Blas Commercial Centre offers 3 pretty squares lined with bars, restaurants, shops etc. Many of the restaurants have live acts. Major attractions such as Siam Park and Jungle Park are within a 15 minute drive. 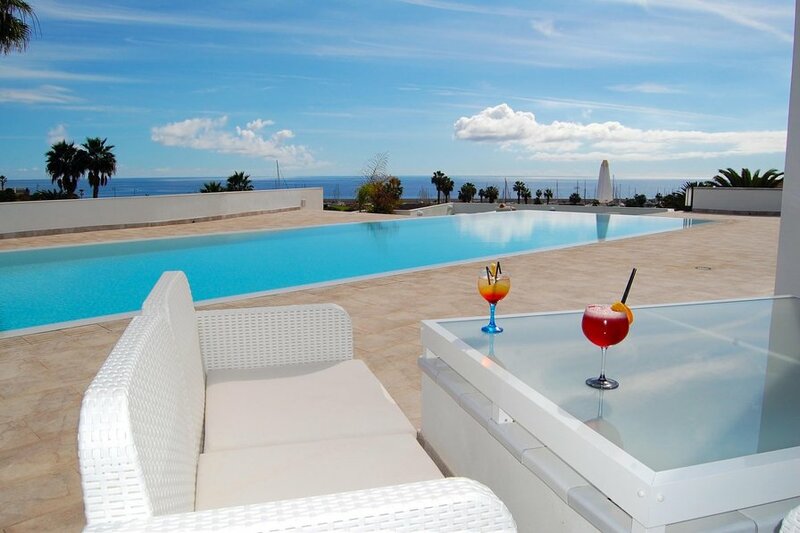 Los Cristianos and Los Americas are a 20 minute drive away.